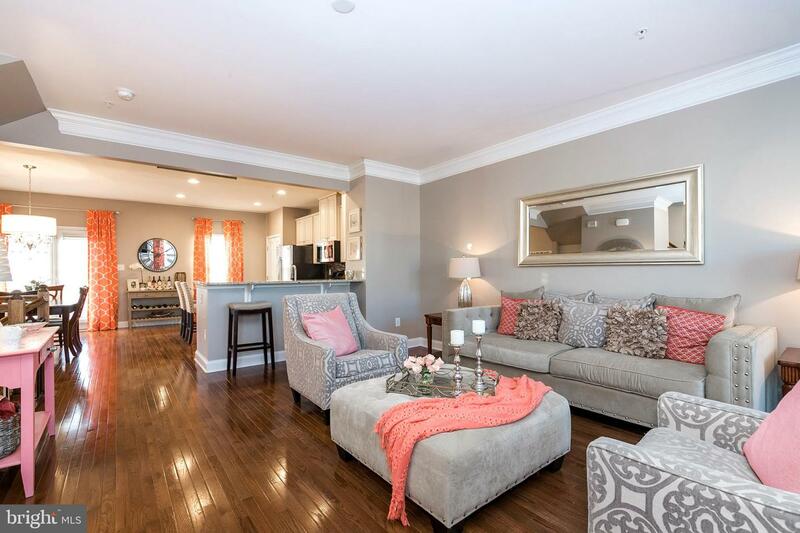 Stunning, well maintained luxury townhouse in the ever popular Windlestrae development! 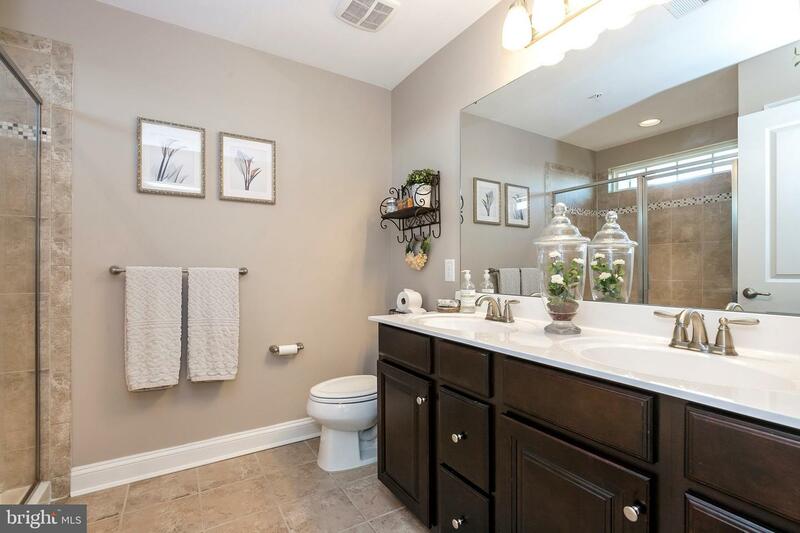 This gem shows like a model home! 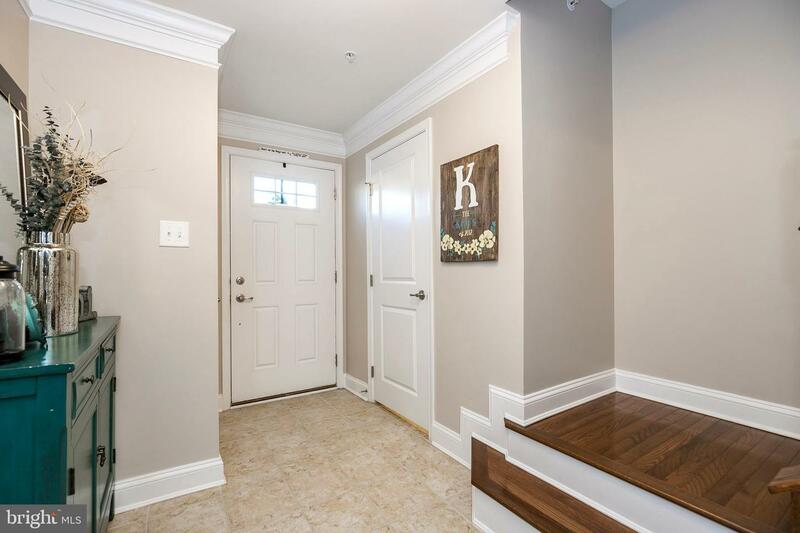 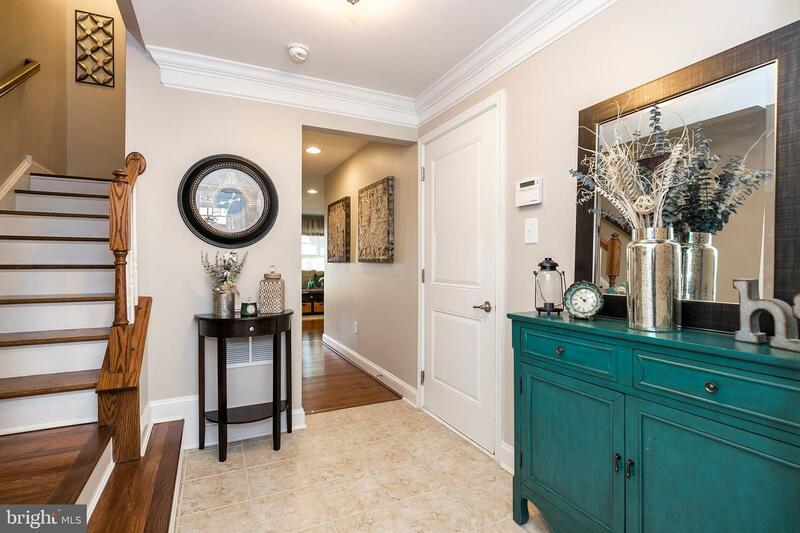 Welcoming entry with upgraded crown molding leads to the functional family room, with newer wide plank laminate flooring, and a beautiful corner fireplace. 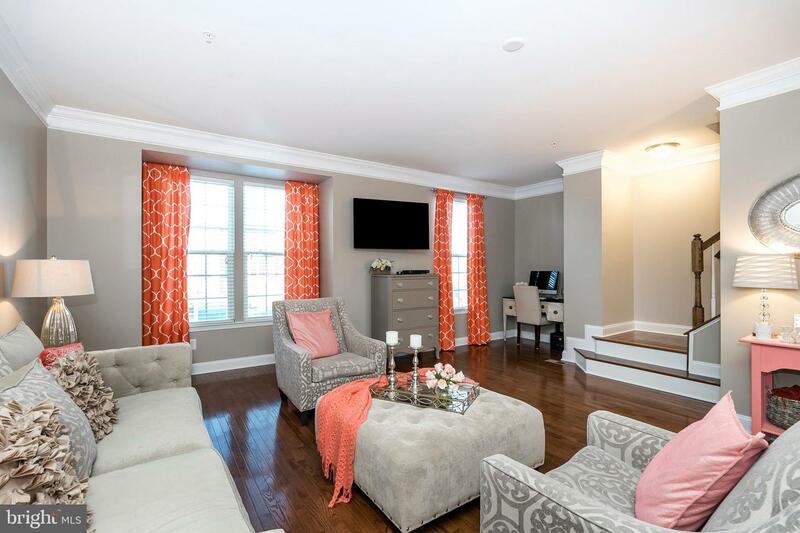 This room would be perfect for a media room, man cave, or playroom. 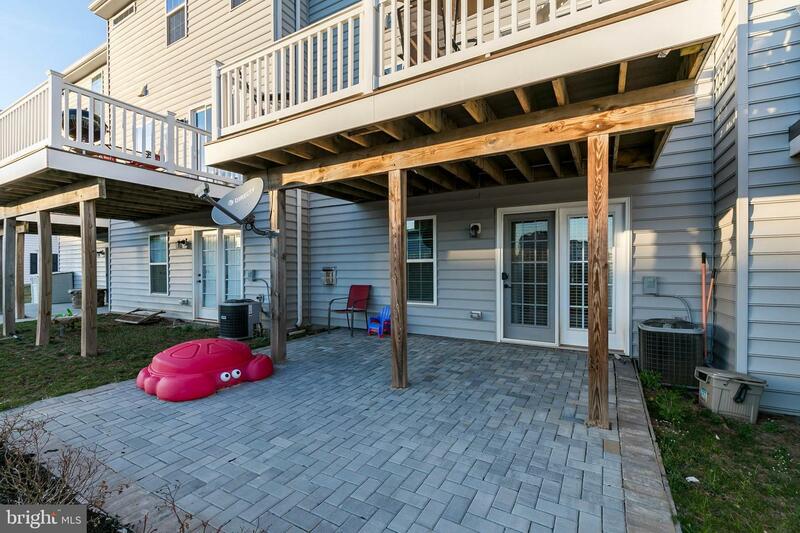 French doors from the family room lead to a newer paver patio, which lends extra outdoor space for entertaining. 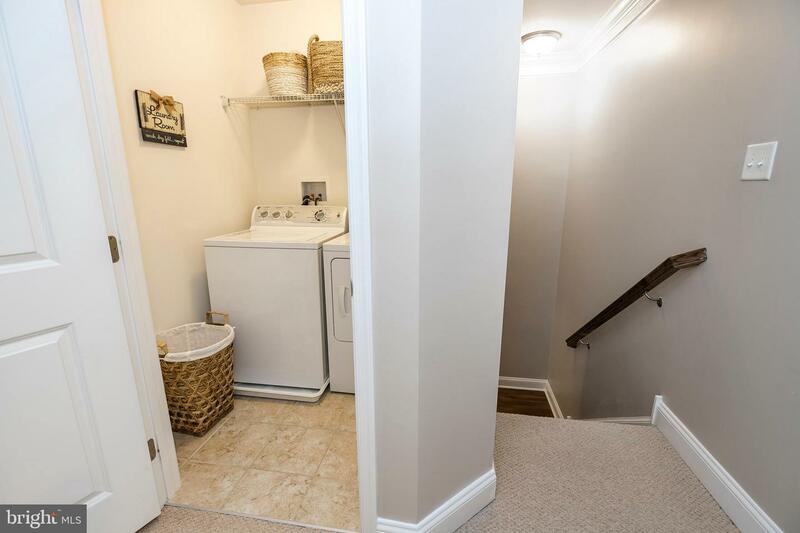 A convenient powder room and coat closet complete this level. 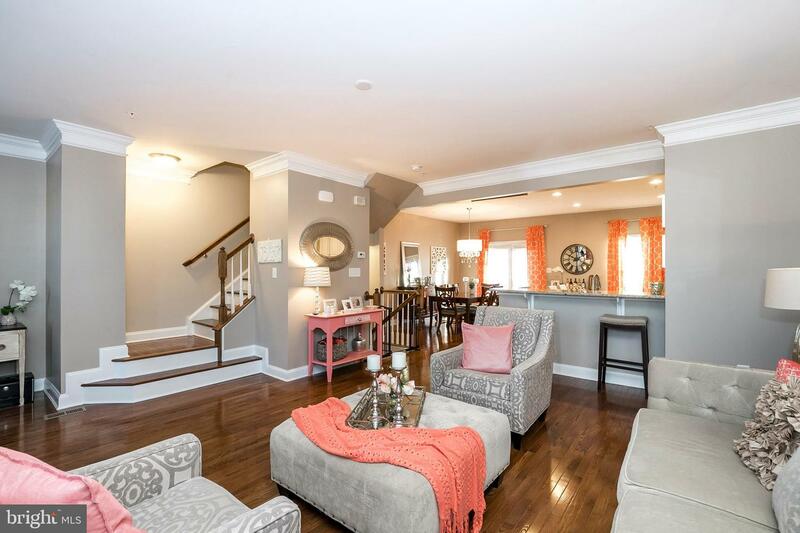 The open concept main level, with 9~ ceilings, is a show stopper! 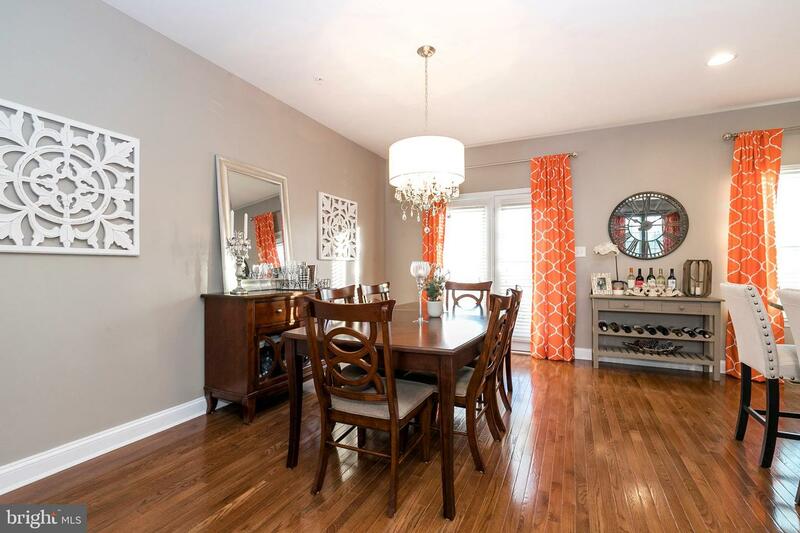 Gorgeous and gleaming hardwood floors throughout. 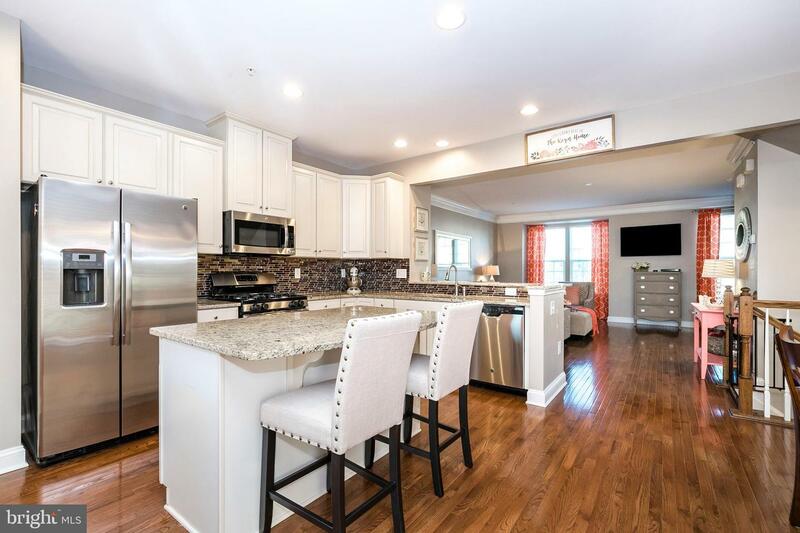 The fabulous gourmet kitchen boasts upgraded 42~ white glazed cabinetry, granite counter tops, stylish tile backsplash, double bowl sink, stainless appliances (refrigerator included), and a functional island with seating. 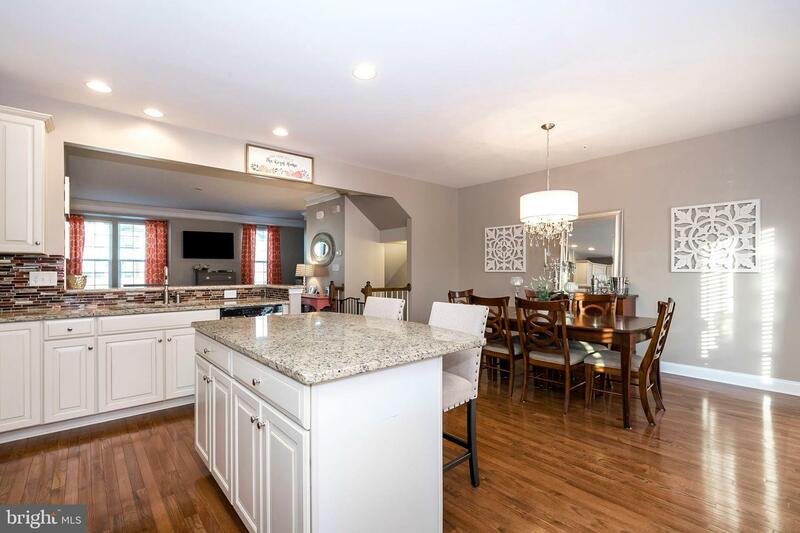 Large great room with beautiful, upgraded crown molding, and dining/breakfast area which leads to a maintenance-free, composite deck, perfect for enjoying that morning cup of coffee. 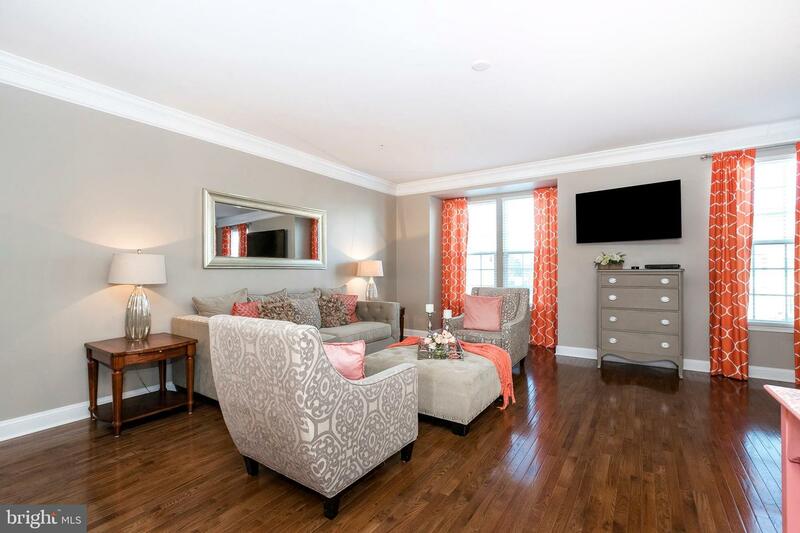 Custom drapes on lower level and first floor are all included. 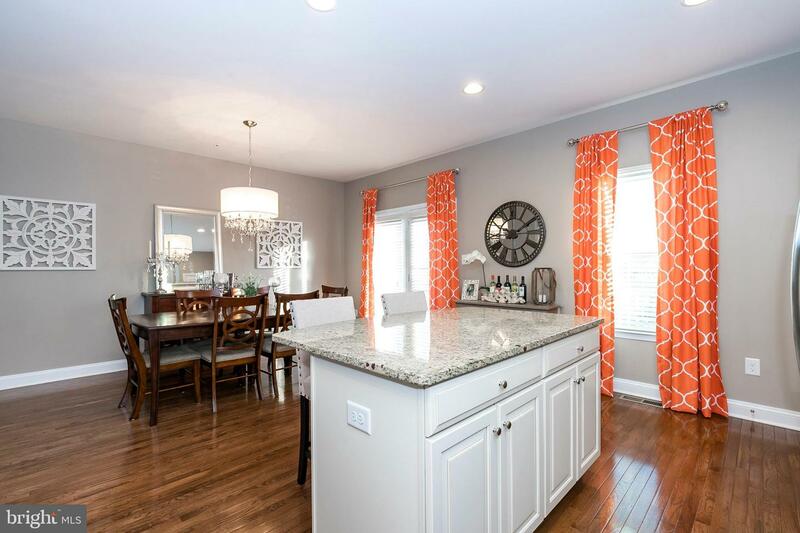 Home has lots of natural light throughout. 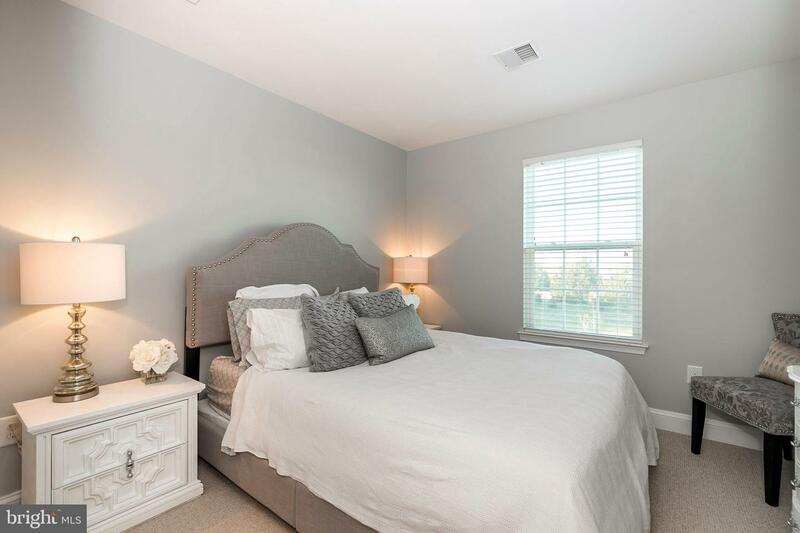 The upper level has a spacious master bedroom which easily accommodates a king size bed. 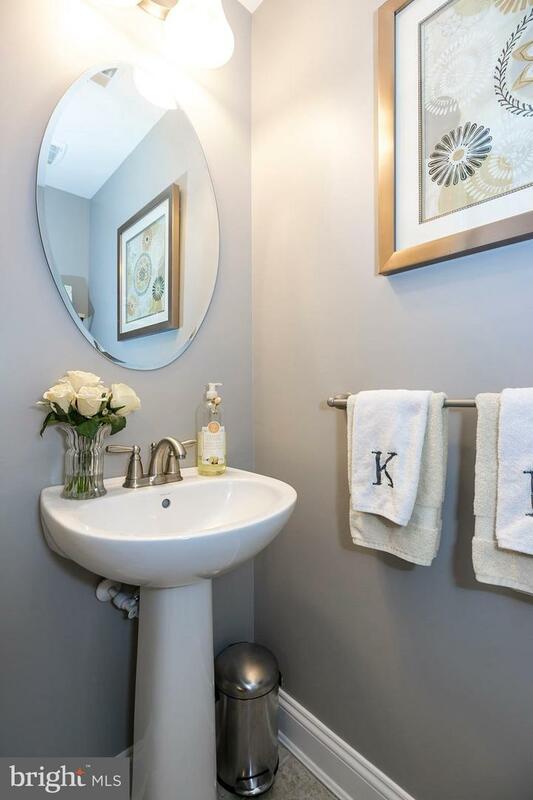 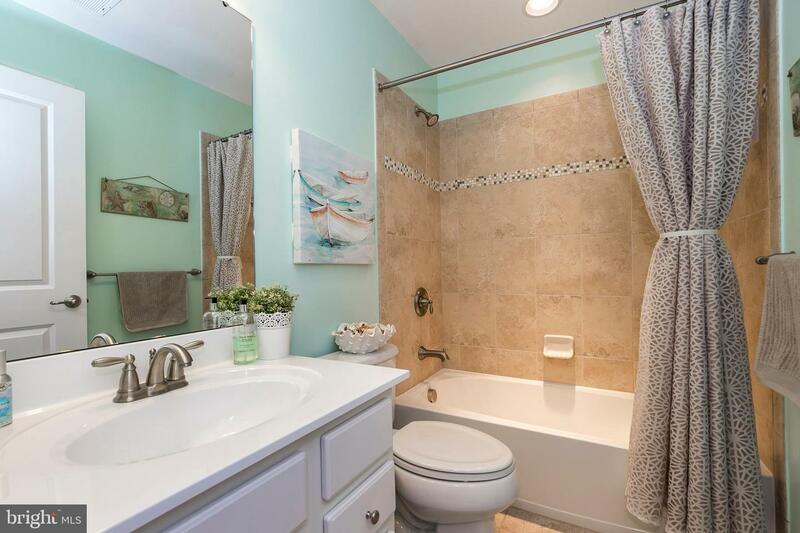 Large walk in closet, and en-suite bath with oversized, tiled stall shower, and double bowl vanity. 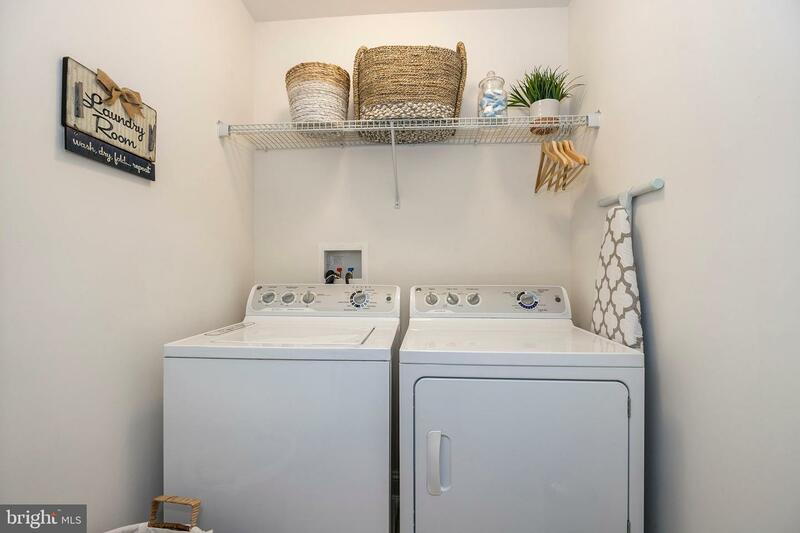 2 additional bedrooms, tiled hall bath, and conveniently located full laundry room, with included washer and dryer, complete this floor. 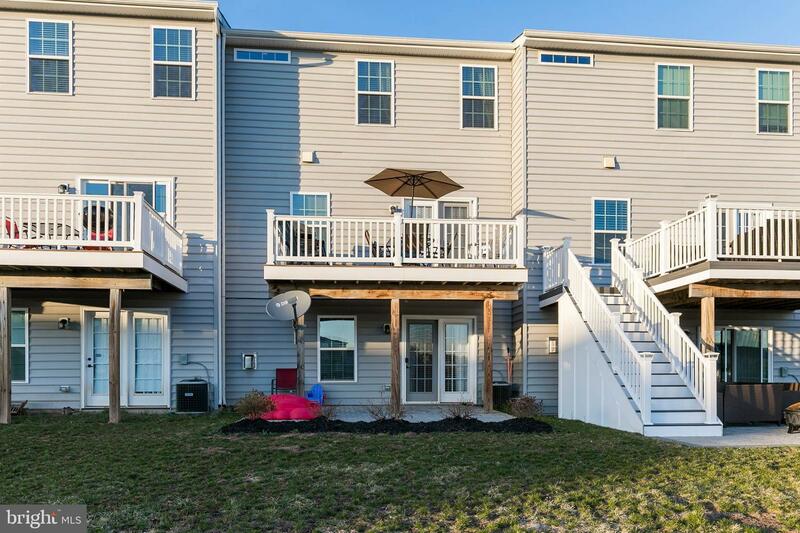 Both sets of stairs have beautiful hardwood treads. 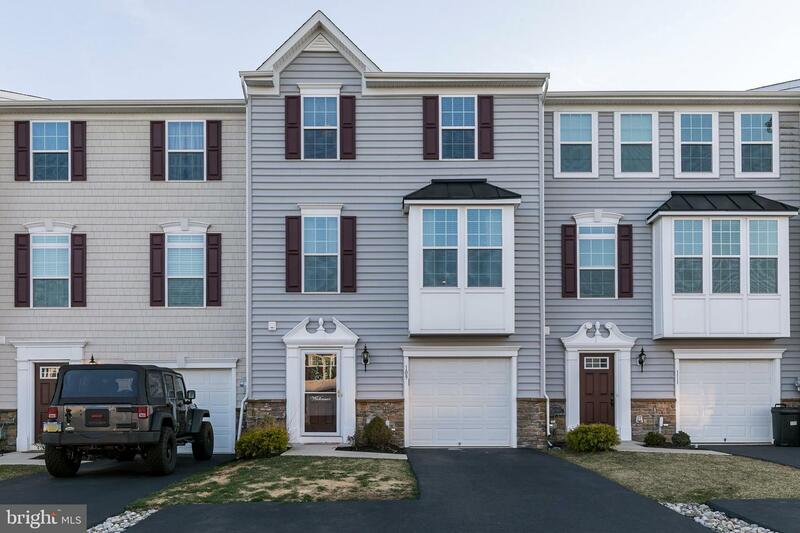 Attached one-car garage, and driveway parking for an additional 3 cars. 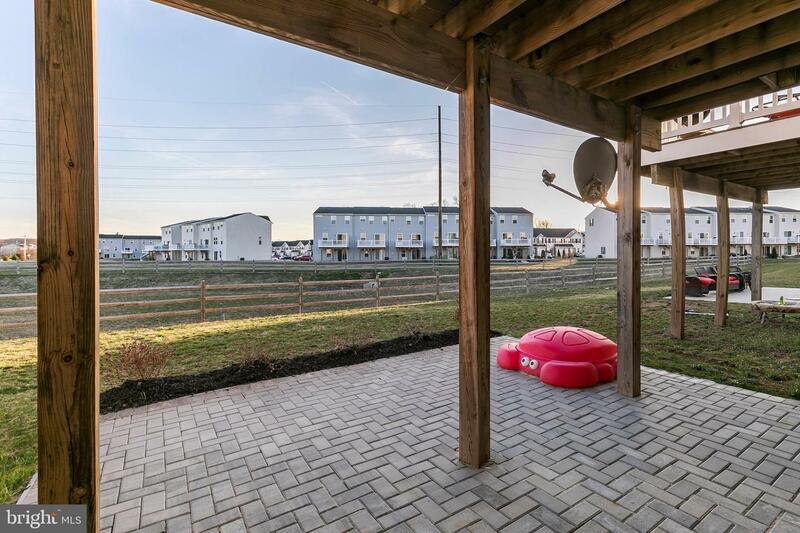 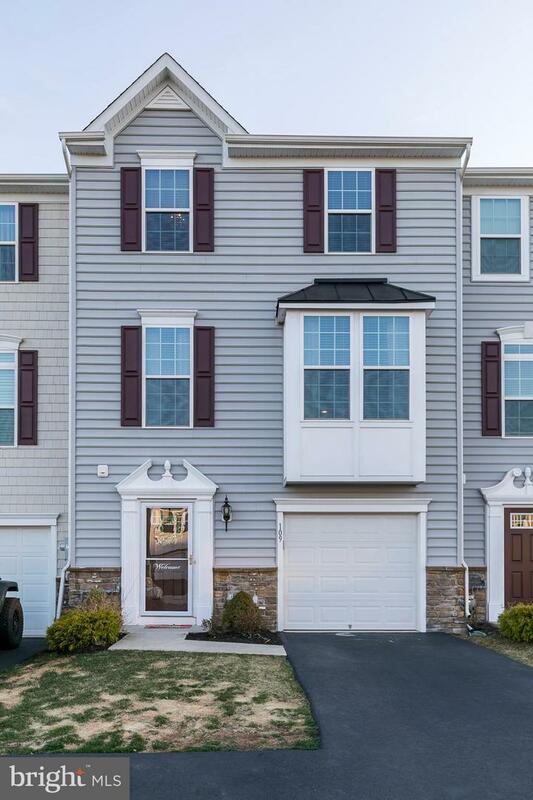 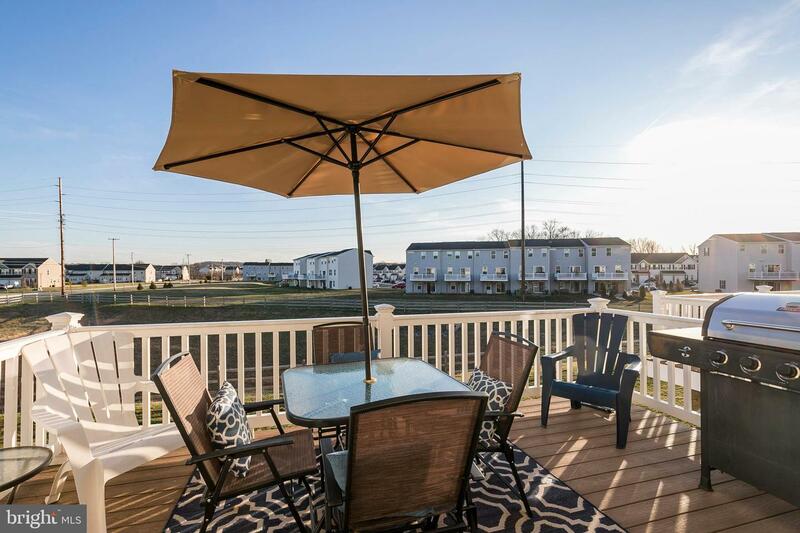 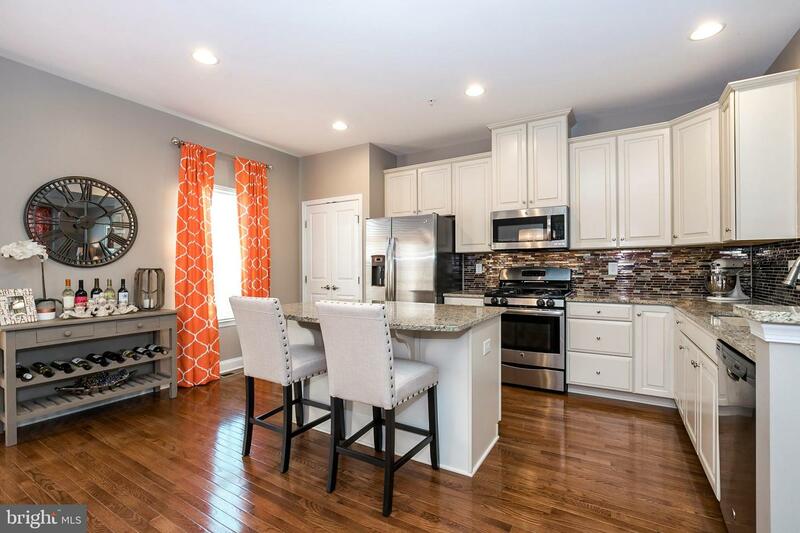 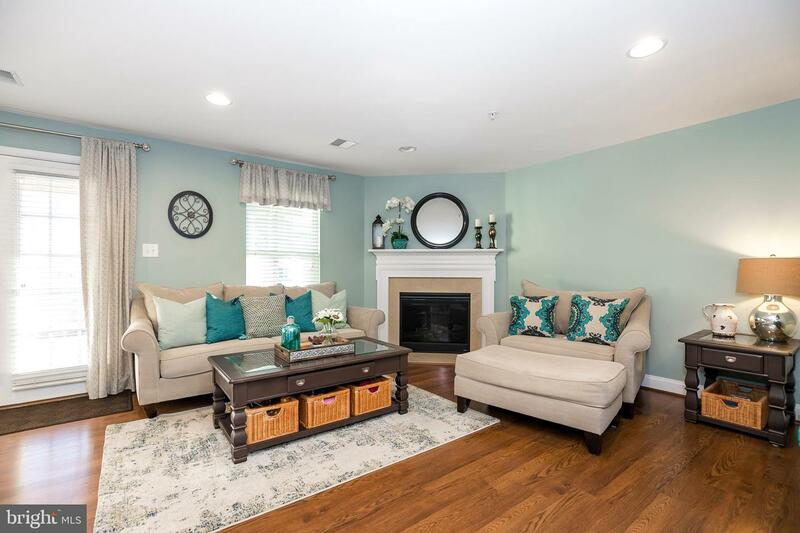 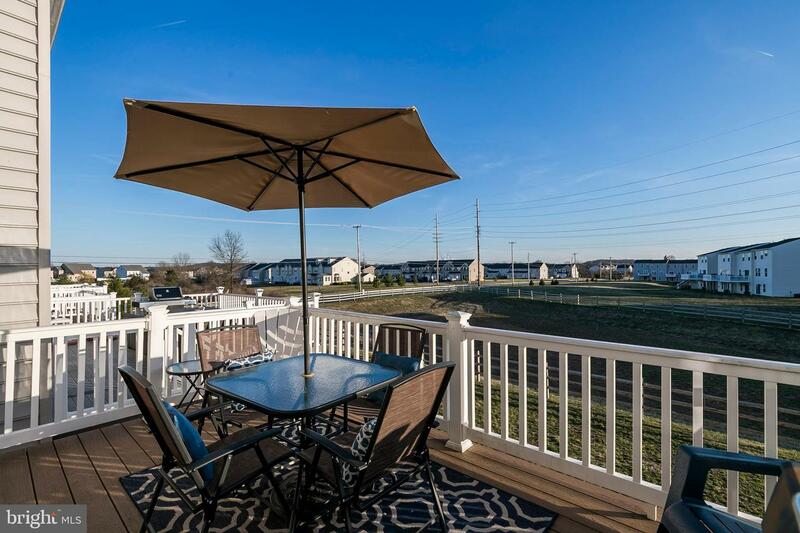 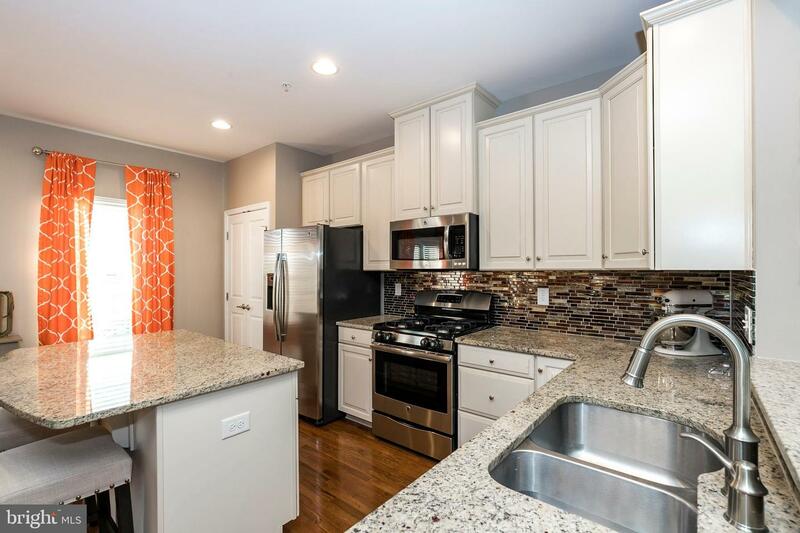 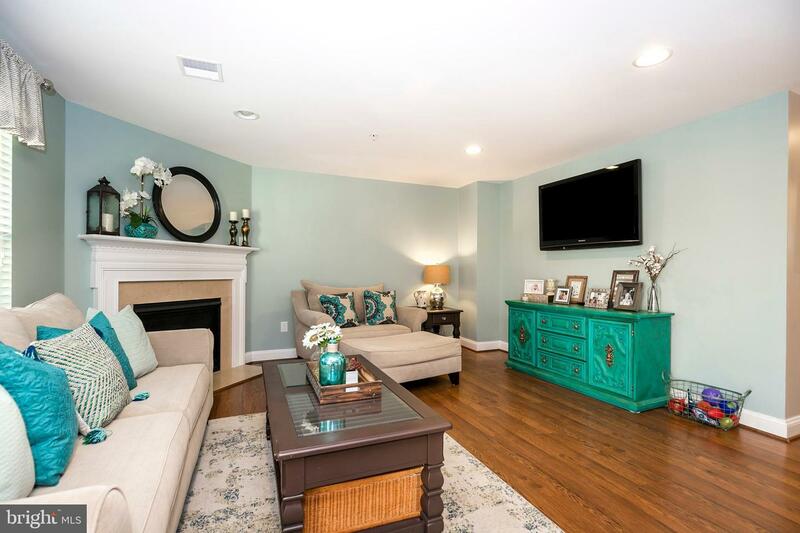 All of this in a wonderful community, located close to major commuter highways, parks, walking trails, and lots of shopping including the Philadelphia Premium Outlets. 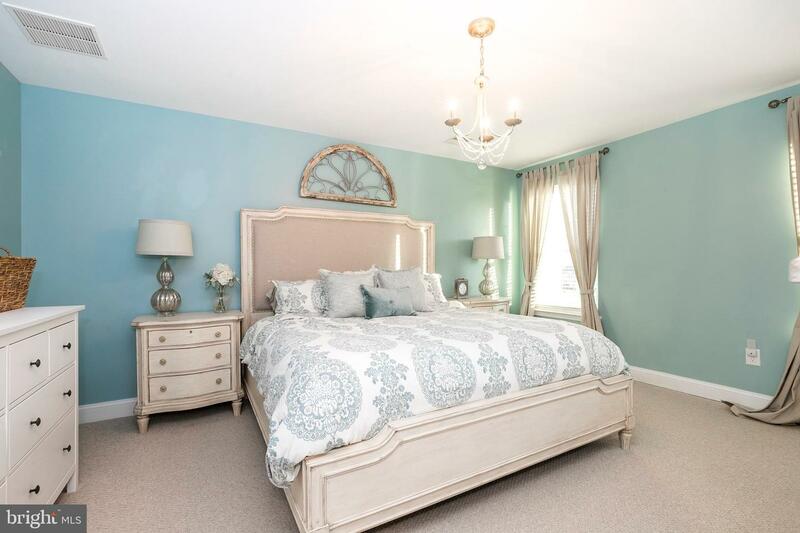 Schedule your tour for this beauty today!